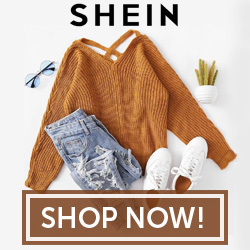 I see people asking all the time about Shein and how the sizing runs, quality, etc. I thought I would do a review since I have been ordering from them for years. Sizing-- I always check to see the exact measurements of the items I am ordering. You can select the size and it will tell you what they are. I have found them to be very accurate. I also always wash them in cold water and hang the items to dry so that they don't shrink. Quality-- I find the quality to be the same as something from similar priced retailers, for example Forever 21. I check to see what the material is that the item is made from and try to scroll the pictures to see if it indicates quality. The higher priced items also seem to be made of a nicer material than the super cheap ones and wash up nicer. Every now and then I order something and it wasn't what I was expecting, but majority of the time I am pleased. Shipping--When I first started ordering from this retailer years ago, the shipping took FOREVER! They have really upgraded the shipping in the last little while. Usually normal shipping takes about a week and the expedited comes in the couple days. I have never not received my items. I also ordered a pair of shoes this past summer and they shipped from the US and came super quick. Kid's Line--They recently added a kid's line and I am in love. The items are super trendy and not like what you will find in other stores. This works out perfectly for Lily because she doesn't like to wear what everyone else is wearing. The price is also cheaper than the other stores we normally shop at for her. Right now they are offering free shipping on their site and I have a coupon code for 10% off your first purchase or $10 off a $90 purchase. I also have a few outfit posts coming up with items from Shein so keep checking back! Click below to start shopping or browsing! $10 off a $90 purchase with Halloween10!